Following a pilot earlier this year, the state of West Virginia will become the first jurisdiction to allow its citizens serving in the armed forces overseas to vote using a smart phone application. The service provided by blockchain startup Voatz has already come under substantial criticism, however. Is Online Security Good Enough to Allow Digital Remote Voting? West Virginia will become the first state to allow voting using a mobile phone. The service will be provided by a company called Voatz. Their application uses facial recognition software and blockchain technology to supposedly ensure that no falsifications of votes can be made. Those using the Voatz platform must first register by taking a photograph of a government-issued form of identification and record a “selfie” video of their face. Once uploaded, facial recognition software should confirm or deny that the face on both photographs is that of the same person. Upon receiving approval, the registered voter can make their selection directly through the Voatz application. Each ballot is then recorded on a distributed ledger, or blockchain. The service provided by Voatz was tested earlier this year during the primary elections. The pilot was conducted in two counties and has been audited a total of four times. These inspections reportedly revealed no issues. However, not everyone is in favour of mobile voting. One technologist called it a “horrific idea.” Joseph Lorenzo Hall spoke to CNN via email. He spelled out clearly that security on devices, networks, and servers were just not up to task with something as important as voting. The fact that Voatz have only launched this year has also alarmed some commentators who think the mobile phone voting idea is flawed. Twitter user and cyber security expert @GossiTheDog posted a lengthy thread about his reservations about the mobile voting scheme. 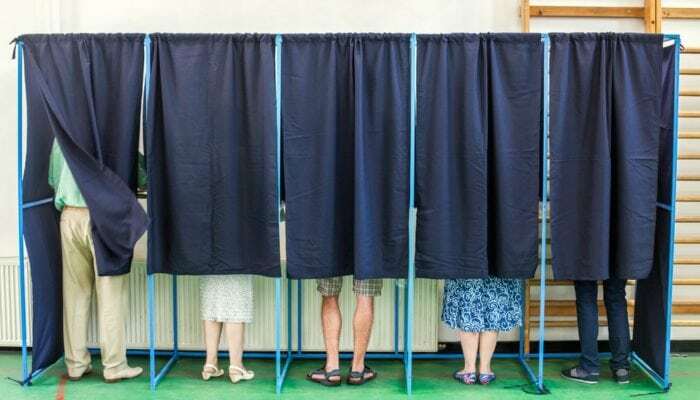 West Virginia to Become First US State to Allow Blockchain-Based Mobile Voting was last modified: August 7th, 2018 by Rick D.